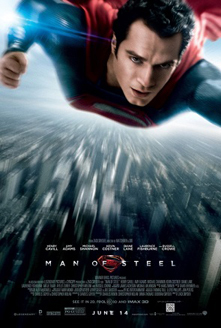 Posted on July 4, 2013, in Comic Books, From Krypton to Gautham, Life, Memoir, Movies, Opinion and tagged 2010s, 2013, adventure, Batman, Batman Begins, childhood, Christopher Nolan, Christopher Reeve, criticism, David S. Goyer, General Zod, Henry Cavill, Lois Lane, Man of Steel, Margot Kidder, media, memoir, Michael Shannon, movies, Post-9/11 films, reviews, Russell Crowe, society, special effects, superheroes, Superman, The Dark Knight, The Dark Knight Rises, The Dark Knight Trilogy, Zack Snyder. Bookmark the permalink. 5 Comments. I remember a scene in Superman 2 (at least I think I remember it correctly, haven’t seen it in a while, though I recorded it a couple weeks ago) where Superman is fighting Zod and in the middle of the fight chooses to flee to avoid further destruction. I recently watched Superman Returns and one scene I particularly loved was the one where Superman flies over a group of people, turns in mid-air and burns away falling broken glass with his heat vision. Even in the ridiculous Superman 4, Superman risks death to save the Statue of Liberty. 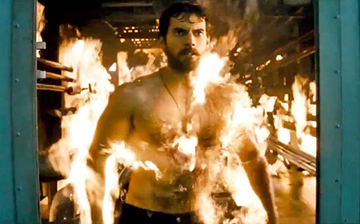 This is what I don’t like about the new Superman. He’s not heroic. Actually, if you take away the sequence at the station, the only people he saves (the pilots) are just a reason for him to be classified as friend and not foe (pretty flimsy IMO). 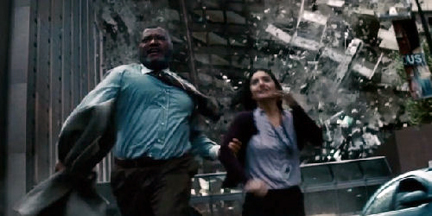 On top of all the destruction, the filmmakers make the mistake of including shots of people watching the buildings falling, which just makes you think, what will become of these people, a question that won’t find an answer with the “hero” who is more focused on making out with Lois than watching the rubble around him. Not even a word about the characters played by Meloni and Schiff who were the ones who sacrificed themselves. Good production, good cast, good acting, just not the spirit. I agree with you, and I think that’s a thing I couldn’t put my finger on for days now. Though I can’t bring myself to think of him as unheroic, probably because I did enjoy the movie so much. It DOES bother me, though. A certain amount of it can be chalked up to being new at this game, though I guess technically that’s not true, since he saves the school bus as a boy. The problem, more than anything, is the willingness to just destroy everything in these movies because it looks really cool in 3D. I hope it’s addressed in the sequel. Thanks for reading and responding, Cesar! It’s truly appreciated. “I found that whole sequence to start to get sloppy because so much was happening.” I disagree that it was sloppy, at least technically speaking. I could follow it along easily enough, and I think most people probably could. Now, in terms of scripting and the massive amounts of destruction, then maybe it is sloppy. It seams an easy way to evoke a visceral emotion from an audience. “Then when Superman killed the General by breaking his neck it didn’t really pay-off [sic] as much as I wanted it too [sic]. 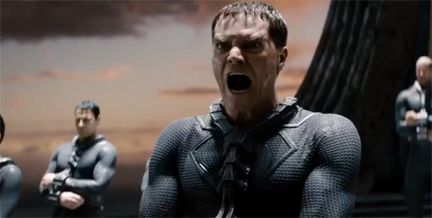 I pictured Zod’s death to be incredibly painful by getting thrown into an asteroid or getting torn limb by limb.” That’s expectation versus reality. That’s like me saying, “I expected Clark Kent to be a reporter throughout so I dislike the movie.” My expectations don’t mean jack to the story. 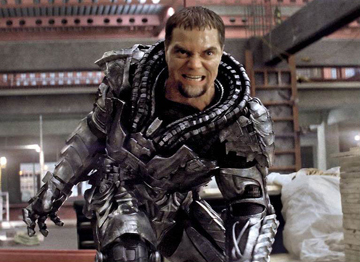 I daresay that the death of Zod isn’t just appropriate, it’s heart-wrenching. He took THE ONLY SURVIVOR from his world, after spending 2+ hours feeling lost and alone, and SNAPPED HIS NECK. 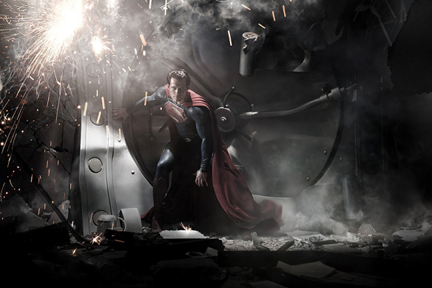 He didn’t zap him with a Kryptonian laser. He didn’t just throw him into an asteroid, he HELD ZOD AND SNAPPED HIS NECK because it was the only way he knew he could help the people of his adopted home, the only home he ever knew. As far as “being torn limb by limb,” that’d be going too far. That’s what a villain would do. I agree with you on the Blu Ray. 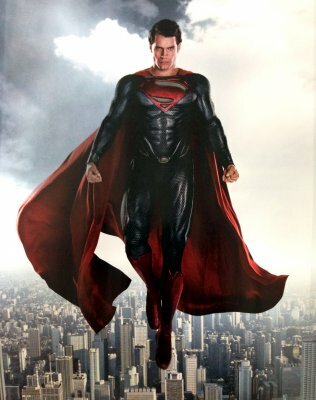 And while the movie isn’t my favorite, the behind the scenes stuff for SUPERMAN RETURNS is excellent. Check them out if you haven’t.